We human beings are made of several metabolic systems that have their own specific functions and characteristics. ‘Excretory system’ is one of them. Excretion means the removal of unwanted materials. Our excretory system includes; a pair of kidneys, urethra, a pair of ureter, renal artery, and bladder. The simple meaning of renal is ‘kidney’. Kidneys are the bean-shaped maroon colored internal organs that are the important part of our body system. Kidney filters the trace mineral salts and helps in formation of urine from the body, aiding in better health. As we human beings are made of fundamental unit of life called cells; brain is made of neurons; similarly our kidneys are made of nephrons. The study of excretory/urinary system is called “Nephrology” and the specialist in this field is known as “Nephrologists”. Millions of nephrons lie at the renal area. Nephron contains glomeruli that are a passage for the electrolyte salts for getting purified. The blood is purified in parenchymal area. The renal tubules pass the purified blood to the centre of kidney. Human beings, mammals, birds all possess pair of kidneys. Kidneys are the very delicate internal organ that helps in urine excretion. They are situated at the abdominal cavity just above the intestines. Each kidney has two sub-parts; vascular and parenchymal i.e. ‘renal parenchyma’ and ‘renal pelvis’. Our kidneys are the important internal organs responsible for internal body balance; pH rate, toxicity and so on. Renal parenchyma is the internal part of the kidney that is responsible for blood filtration and urine formation. Renal Parenchymal disease can be chronic as well as acute. In some cases, it is a life-threatening disease that grows rapidly in no time, whereas in some cases it gets cured through dialysis and several treatments. In 9 out of 10 cases it needs organ transplant and surgery that occurs in chronic renal ailment that can be fatal. The renal disease occurs majorly due to the deposition of trace mineral salts that steadily stops the normal functioning of kidneys resulting in chronic disease. Unfortunately, the sufferers have to depend on temporary dialysis for their lives. The causative reasons can be various like the intake of junk food in regular intervals, diabetes, hypertension, high blood pressure, lupus nephrites, sedimentation of uric acid, calcium with oxalates. The disease can also be the hereditary. Lack of proper care and healthy living can also be the reason. The rapid and untreated disease directly leads to kidney failure. Intake of heavy painkillers, malaria, viruses, the auto-immune disorder can also be suspected. Swelling of legs, hands, face, and abdomen due to uric acid deposition. 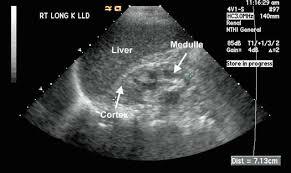 The normal urine study and ultrasound can also help in diagnosis. Whole urine examination, creatnine test, radiology, blood samples testing can help incomplete diagnosis. In allopath, homeopathy and Ayurveda; all of them have different tactics and curing methods for this. Firstly, if the kidney functions are minimal or negligible; then in order for normal excretion artificial kidney i.e., dialysis is recommended. 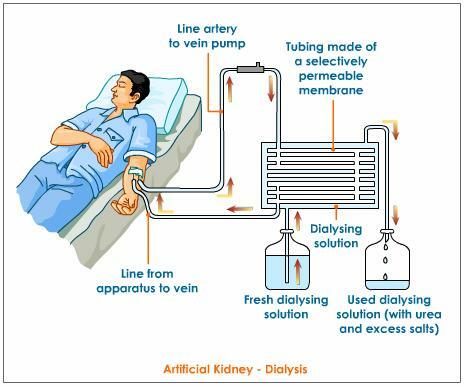 Dialysis is a temporary treatment of kidney ailment and is painful. The timing varies according to the case. It may be once in a week or can exceed 2-3 days also. It is like a trap; once you enter into the procedure you can’t escape from it. It means regularity must be maintained otherwise it can lead to serious condition. The permanent treatment for the ailment is the kidney transplant. Once you are attacked by a chronic kidney disease; transplant is the best option. In this ailment, the kidney size shrinks that leads to huge health destruction. Several drugs like calcium acetate are advisable. When an individual has kidney ailment, slowly his/her health and appetite decline; some vitamin doses can be beneficial. This time the diet must be simple and free from extra oil, fats, salt, non-vegetarian food etc. Water intake should be very less at least 2 glasses a day. In Ayurveda, there is an excellent cure only when there is pre-diagnosis and the ailment is minimal. It includes herbal medicines, exercises, yoga and healthy diet. If you are interested, you can read The Ayurvedic cure for kidney diseases. Avoid junk and extra salty, spicy food as much as you can. These can be fatal for your health. Be prevented from mosquitoes, because malaria is the first step towards chronic kidney illness. You should also minimize the usage of painkillers. Painkillers play a vital role to destroy kidney health. If someone close relative of your family is suffering from kidney ailment; you must go through diagnosis. Because this ailment can be hereditary too. Try to lead a healthy life free from maladies. Go through monthly check-ups or half-yearly. It will keep you updated about your health. Friends; it is very painful and unfortunate situation when someone suffers from the chronic kidney illness. Lack of proper care and attention can be very dangerous and also leads to death.